Mark your calendars for an exciting new addition to the U.S. Department of Energy Solar Decathlon 2013 and XPO! 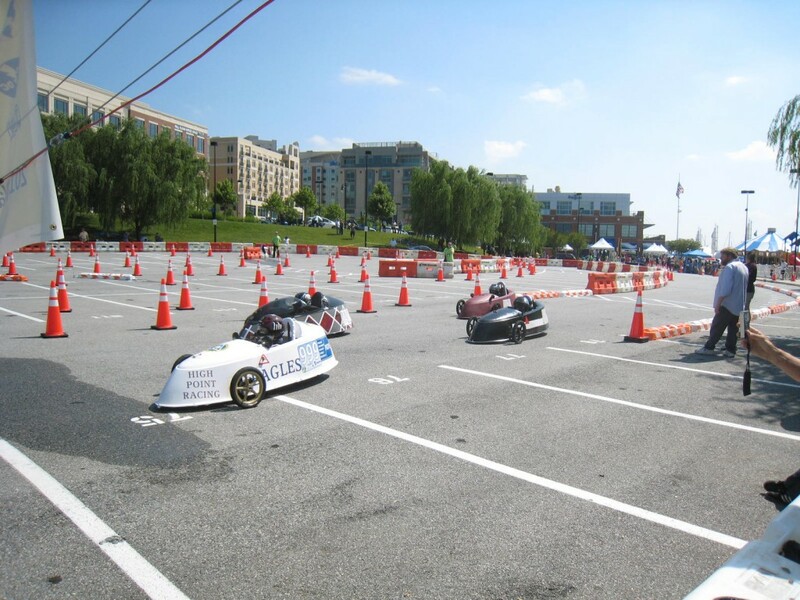 Oct. 4–6, 2013, the XPO Transportation Zone will feature the California Challenge, a competitive time trial of energy-efficient vehicles. The Energy Invitational is a competition to determine which team can drive the farthest on $1 of the energy of their choice. University race teams, enthusiasts, hobbyists, inventors, Formula Sun Grand Prix competitors, and OEM (original equipment manufacturer) race teams are welcome to compare their performance on the same track on the same day. Electrathon vehicles are single-person, lightweight, aerodynamic, high-efficiency vehicles that are electrically powered by standard lead-acid battery packs. High school teams will compete to see who can drive the farthest in one hour. The California Challenge provides a same-track, same-day comparison of the performance of different types of energy-efficient racers. All races are open to the public. The Orange County Great Park—located on the former Marine Corps Air Station El Toro in Irvine, California—is the host of U.S. Department of Energy Solar Decathlon 2013 and XPO. The Orange County Great Park has four runways, each 1 mile long. These runways provide an excellent venue for vehicle time trials and performance demonstrations. Learn more about the California Challenge or register your team today. Amy Vaughn is the Web coordinator of the U.S. Department of Energy Solar Decathlon. This entry was posted on Friday, August 23rd, 2013 at 5:35 pm and is filed under Events, XPO.